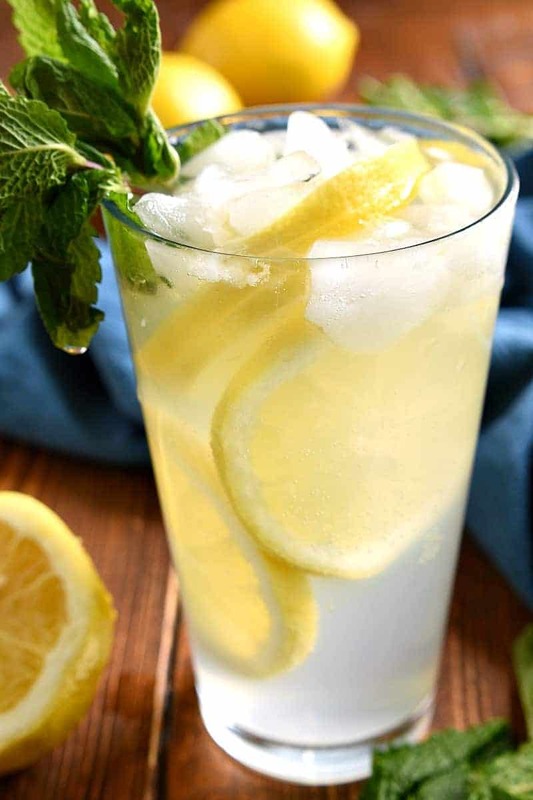 This Sparkling Mint Lemonade is the perfect drink for summer! It’s light, refreshing, and packed with the delicious flavor of mint. 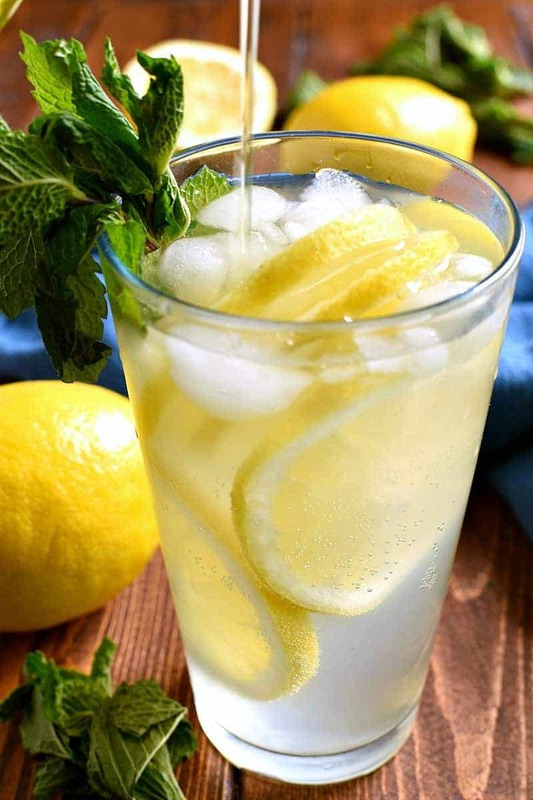 If you love lemonade, you’ll love this fresh new twist! There are a lot of things I love about summer, but one of my favorites is having a garden. Honestly, there’s nothing better than walking outside and grabbing fresh veggies from the garden, or sending the kids outside to see what’s grown overnight, or always knowing you can whip up a quick salad, or salsa, or veggie tray….because everything you need for it is growing right in your own back yard! But if I had to name the BEST part of having a garden….well….it would always be the fresh herbs. Not only because I love to use them in all my summer salads, but because I LOVE adding them to summer drinks! And being able to pick a fresh bunch whenever I need it? Well, it just makes me happy. So we usually plant basil, mint, and cilantro….and if I had to guess which one we use most, I would probably say the basil. But I have the feeling things might be different this year….because I’ve recently discovered a whole new love of mint. And especially this Sparkling Mint Lemonade! Lemonade is a no-brainer for summer, but when you make it sparkle? And add some fresh mint simple syrup? Then it becomes the most delicious no-brainer EVER. 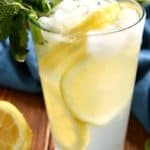 This Sparkling Mint Lemonade is perfect for summer parties or picnics….especially when you pair it with an easy, delicious meal like Subway’s Rotisserie-Style Chicken Sandwiches. 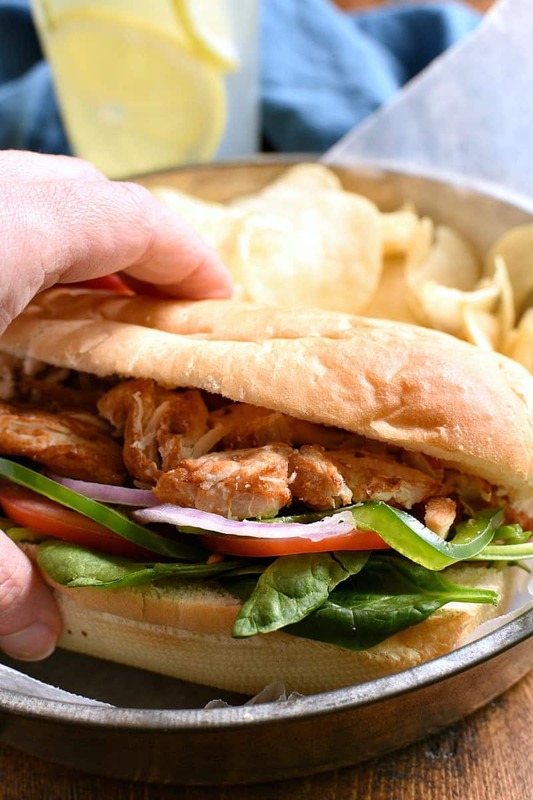 We discovered these sandwiches recently, and let’s just say we plan to eat them all summer long! Because they’re easy and delicious and loaded with fresh, crisp vegetables. Which, let’s be honest, is what we’re all craving right now. 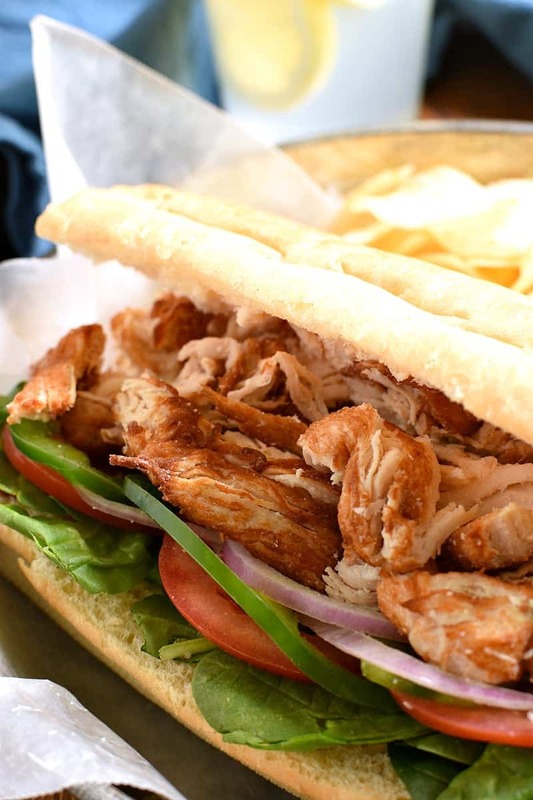 And I love the fact that they’re made with hand-pulled, all white meat chicken raised without antibiotics. So not only do they taste amazing, but I really feel great about eating them for lunch….or dinner….or both! Hooray for summer…and freshness…and easy, delicious dinners and drinks! I’m SO ready for all of it! 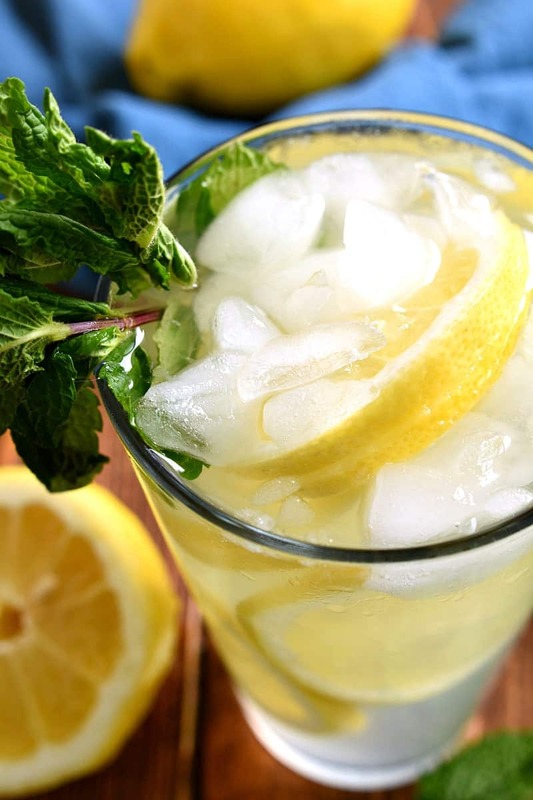 This Sparkling Mint Lemonade is the perfect drink for summer! It's light, refreshing, and packed with the delicious flavor of mint. If you love lemonade, you'll love this fresh new twist! Combine 1 c. water + 1 c. sugar; bring to a boil. Remove from heat stir in 1/2 - 1 c. fresh mint leaves, cover, and steep 30 minutes. Strain syrup and refrigerate until ready to use. Combine all ingredients; serve over ice.